Meet our fantastic Archival Stampin' Pads - available in Basic Black and Basic Grey. Make a lasting impression with our archival ink. Classic Archival Pads have permanent ink, making them the obvious choice for watercoloring techniques. 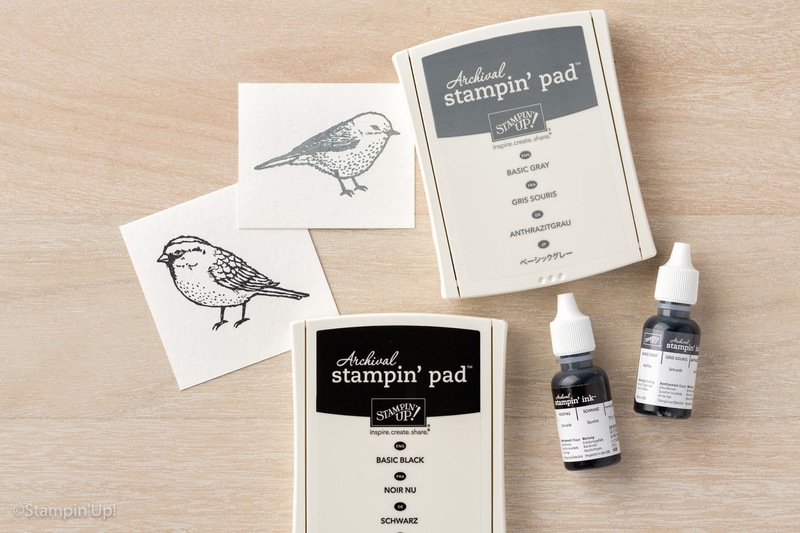 The innovative ink pad design has a patented flip-top lid and a felt pad to give you a superior stamping experience. Archival ink works equally well with rubber stamps and photopolymer stamps. Both cost £6.50 and are a must-have for your crafting tool supplies.